Senses Fail is thrilled to announce that they will be hitting the road for a full U.S. tour next year with support from Reggie and the Full Effect, Have Mercy, and Household. The month-long run kicks off onFebruary 27th in Santa Ana and wraps up on March 31st in Las Vegas, bringing Senses Fail’s high-energy and passion-driven live show to fans across the country. Pre-sale for the tour starts today at 12pm ET, with general on-sale beginning Friday, December 8th at 12pm local time. For more information or to purchase tickets, please visit http://sensesfail.com/. Senses Fail recently shared their brand new single “Double Cross,” from the band’s forthcoming 7th full-length album, If There Is A Light, It Will Find You. The new 12-song album will be released on February 16th, 2018 via Pure Noise Records and can be pre-ordered now here. Fans will notice a dramatic shift back to the band’s rock roots, honing the sound they realized on iconic records like Let It Enfold You while also embracing the future of the band and personal experiences like both the loss and birth of a child. 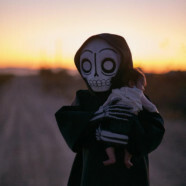 Underneath the album’s brighter, melody-driven exterior lurks a dark fascination with the concept of mortality – creating a juxtaposition of light and shadows that directly reflects on Senses Fail’s marked history. Senses Fail is Buddy Nielsen (Vocals), Gavin Caswell (Guitar), Greg Styliades (Bass), Chris Hornbrook (Drums) andJason Milbank (Guitar).